Poinsettias are the Holiday Pick! 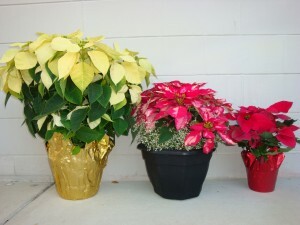 Regardless of the color or size, poinsettias add wonderful beauty to any home. Display them inside or out. They’re enjoyment for you and your prospective buyers! … but always the plant for fall! Mums do a fantastic job of adding a wonderful pop of color to your front entrance or outdoor patio areas. They are the perfect plant for October and November in Florida. With their popular yellow and orange color tones, it can put you in the mood for fall whether or not the weather does. 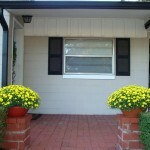 This is a super easy way of creating great curb appeal!